This chapter explores televised visualities, which prescribe and prohibit particular forms of femininity. It focuses specifically on two recent televised shows that are based on Nasir Ahmed’s popular novel Mirat-ul-Uroos (The Bride’s Mirror), first published in 1869. 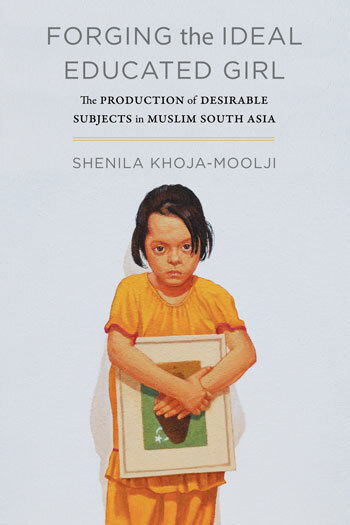 Attending to the reproduction of Mirat-ul-Uroos with its representation of ideal versus failed femininities facilitates a tracing of the kinds of lives that are authorized/normalized in contemporary Pakistan, and the role of the family, religious ideologies, and school in crafting these lives. The chapter shows that through these representational practices television not only inculcates middle class mores that reproduce the patrilineal family structure, but also demarcates the home as the site for moral instruction (tarbiyat) and schools as places where education (talim) linked to waged-work takes place.